On Thursday, Numedeon announced the winners of the Whyville Game Design Contest. As described in the below press release, this contest challenged Whyvillian's to design their own games using game making tools that are part of the AMD Game Zone in Whyville. The AMD Game Zone is sponsored by the AMD Foundation and has attracted thousands of kids in Whyville to make and play games. One of the interesting innovations in this project is that they have incorporated the same open source physics game engine that is the base of games like "Angry Birds" into Whyville in such a way that kids can design and play games together. One of the collaborators on the AMD Game Zone is KLRN, the PBS affiliated TV station and media outlet in San Antonio, Texas. KLRN has produced a series of public service announcements featuring some of the winners of the Whyville Game Contest. Given the enthusiasm of our users for this project, the Whyville Game Design Contest will become a regular yearly event in Whyville. Pasadena, CA –September 15, 2011 – Numedeon, Inc., the parent company of Whyville.net, announced today the finalists and winners of the Whyville Game Design Contest. Through this contest, over a hundred digital games designed and created by participants in the educational virtual world of Whyville.net were played and rated by thousands of other Whyville citizens. The seven finalists, five girls and two boys, ranged in age from 13 to 19. Two winners were selected from the finalists to each receive an HP laptop. 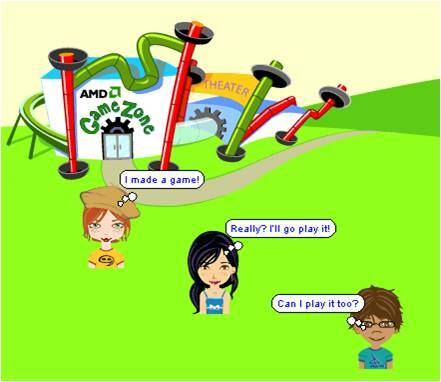 Contest participants created and submitted games within Whyville’s AMD Game Zone, which allows Whyville’s aspiring game designers to create games using several different game engines, including a collaborative, “inworld” game design platform created by Numedeon. This novel platform allows players with no programming experience to create and play games collaboratively while chatting within Whyville’s virtual world. Since the AMD Game Zone was launched in March 2011, over 3,000 games have been made and saved in Whyville. The AMD Game Zone was made possible by a grant from the AMD Foundation to San Antonio, TX PBS affiliate KLRN. 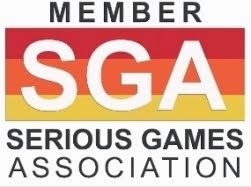 The grant from AMD was awarded in support of the AMD Foundation’s signature education initiative, AMD Changing the Game, which promotes the use of youth game development as a tool to inspire learning and improve science, technology, education and math (STEM) skills among youth. AMD Game Zone also supports other gaming platforms, including GameStar Mechanic and GameMaker. KLRN has developed video shorts about the game creation process which feature interviews with several contest finalists and winners who discuss what they learned by creating their games. KLRN will broadcast the video shorts and make them available to PBS stations nationwide. Whyville is the premiere educational virtual world for children, embedding simulation-based learning in an engaging and safe collaborative gaming social environment. For eleven years, the site has successfully created an environment that engages its "citizens" to learn about life, while having fun. 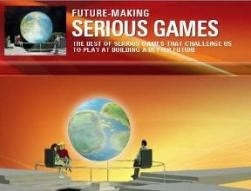 In Whyville, kids play, socialize, compete, learn, design, eat, dance, govern and much more.